A middle-aged man with secrets renovates a haunted house in this historical/mystical Western drama from Willerton (The Lady in White, 2012). Combining the seemingly disparate themes of home repair and shamanic ghost stories, Willerton splits his novel between the tragic tale of the 19th century Mulvaney family and the modern-day redemption story of house restorer Tucker Whitby. Initially dismayed by the enormous size of the house, Tucker decides to buy the storied property from freshly divorced real estate agent Lynn Anderson after he realizes that the house is, in fact, alive. Built in 1869 by corrupt lawyer Cyrus Mulvaney, who later hanged himself from the rafters, the house was given sentience by an unnamed shaman. The mystery of the shaman’s identity is slowly revealed as Tucker and his crew of teenage construction workers restore it. When a pregnant teenager seeks asylum from her unhappy family, Tucker attempts to conquer his past emotional wounds so he can help her. The narrative engages because it embraces its mystical premise. 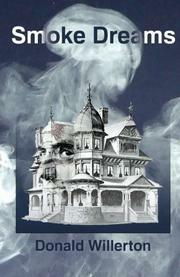 When asked what it’s like to restore a haunted house, Tucker says without irony, “Building with a spirit-partner is something new, but it’s added a flavor to building that I’ve never had.” Like the Bob Villa of haunted houses, Tucker’s love for the project becomes a conduit for him to address the horrors of his own past. Oddly, the house acts as an occasional lovelorn narrator, adding insight into the mystical happenings. Each of the supporting characters wrestles with believable personal struggles, which illuminates their interactions with others. The descriptions of the restoration work, however, are perhaps too meticulously detailed, although restoration aficionados will undoubtedly relish the passages that describe how each section of the house is carefully brought back to life. Tucker’s emotional demons and the impromptu family he creates are fleshy enough to imbue the sanding, painting and rusty stud removal with genuine feeling. A warm, sometimes overly described tale of a simultaneous restoration of a home and homeowner.